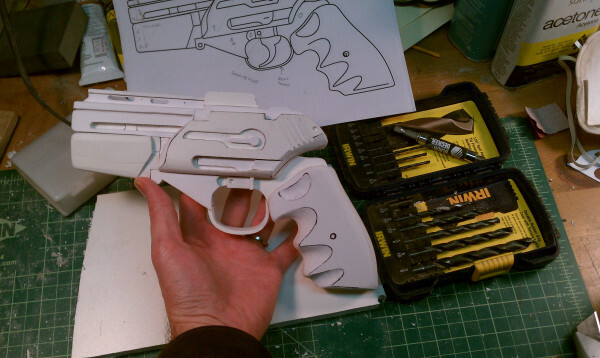 I was tapped to build a Battlestar Galactica Colonial Pistol prop replica for a Halloween costume. I much prefer the season 1 version and I was given leeway to pick the version, so that’s the one that I went with. I whipped up a vector for this in Inkscape and printed it out to get the party started. 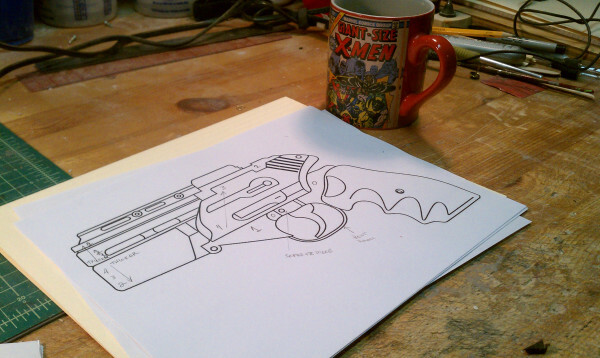 You can buy the blueprint I made here. 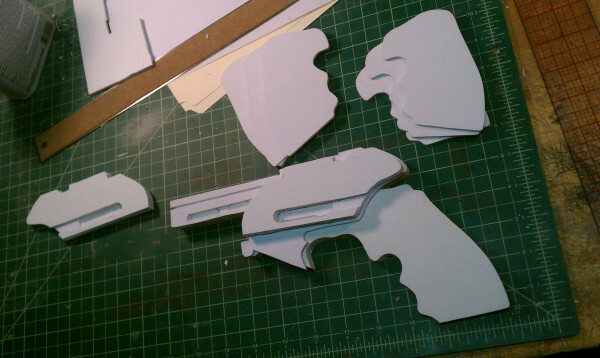 I made the center layer out of 3/8″ foam PVC and each layer outward out of 1/8″ foam PVC. 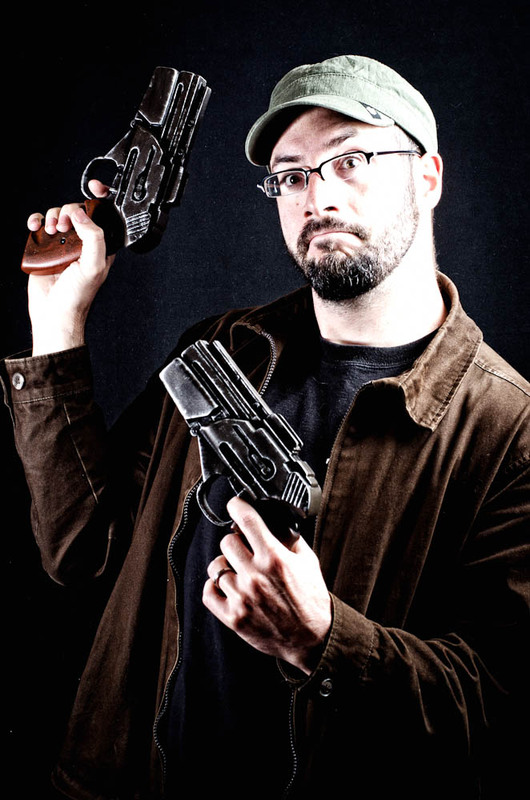 The grenade launcher bit was made separately and attached later. 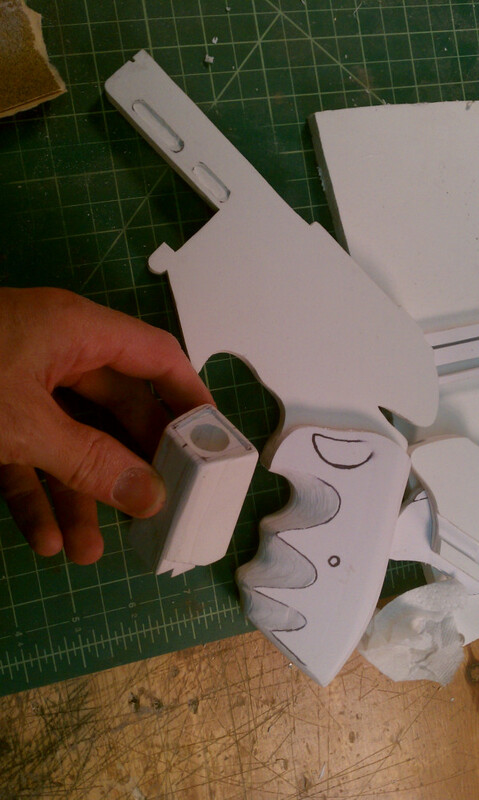 As the pieces were attached to the main part they were shaped with a Dremel. With all of the pieces attached and roughly shaped, it’s time to start sanding and filling to get this puppy mold ready! I smoothed out all of the seams and edges with Bondo and Magic Scupt. 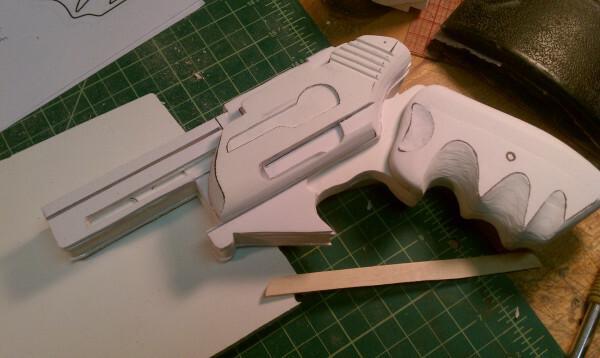 The gun got a good priming, sanding, and more priming. Then it got wet sanded so that it would be ready for mold making! 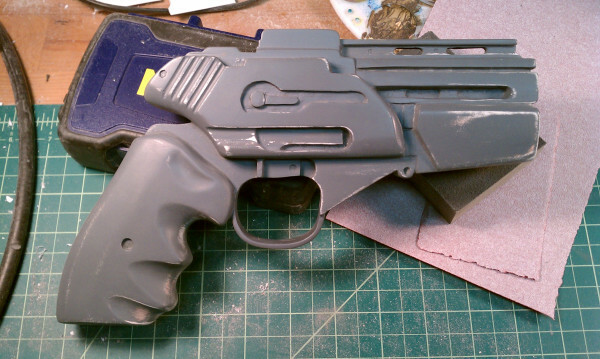 I made a 2 part silicone mold of the finished master gun. 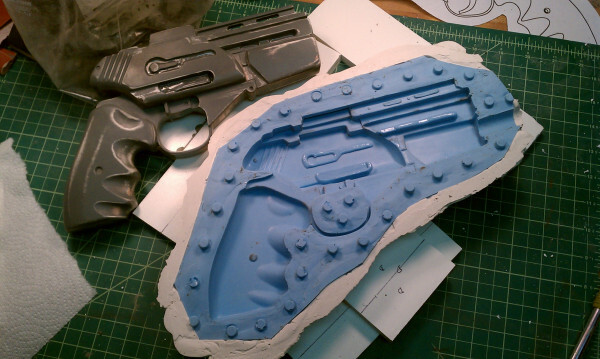 From that mold I am now able to pull plastic resin copies of the gun. 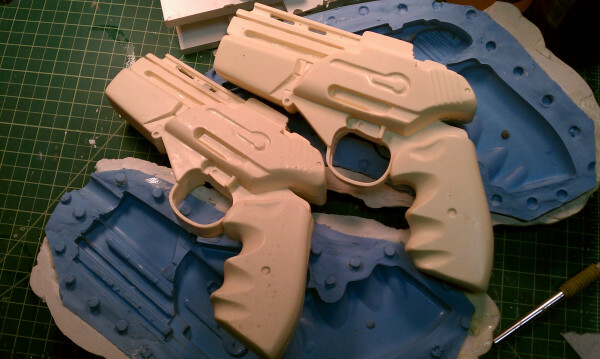 Finally the guns can be painted! They were given a metallic spray base coat. The handle is brown and black acrylic paint to simulate wood. 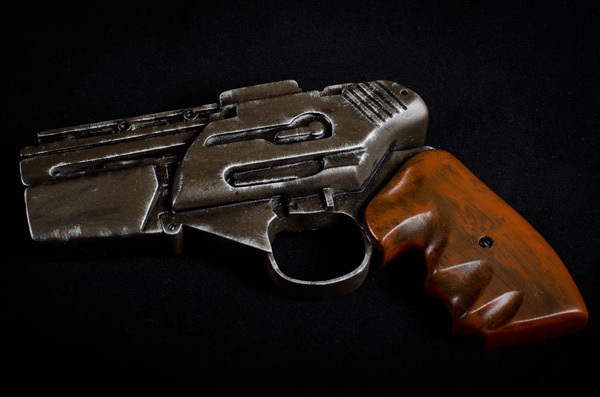 Then the gun was weathered with black acrylic paint and highlighted with silver metallic paint.